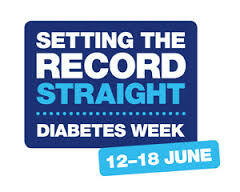 As the county’s leading sight loss charity NAB is joining forces with NHFT’s Diabetic Eye Screening Programme (DESP) during National Diabetes Week 2016 (12-18 June) to promote eye health and raise awareness of blindness caused by diabetes if left untreated. Just about everyone has heard about diabetes. And, with 3.5 million people diagnosed in the UK and a further 549,000 who have the condition but don’t yet know it, most of us know a friend or family member living with diabetes. However how many people with the long-term health condition realise they could go blind? The Diabetic Eye Screening Programme (DESP) offers a specialist eye test to a population of 38,989 patients with diabetes across the county but NAB wants to stress that there are many more people living with diabetes in Northants that do not take-up the free annual specialist eye screening or are aware of services to support. Representatives from DESP will be joining NAB’s Community Team on board their Mobile Sight Centre to give out information and offer advice and support during the awareness week. The information vehicle will be at Daventry Town Centre (near Shopmobility) on 15th June (10am-1pm) and outside Corby Cube on 17th June (10am-1pm). To book an appointment for your annual screening test with the DESP service, please contact 0330 555 6789 Option 1. This is a free phone number.If you would like to find out more about services provided by Northamptonshire Association for the Blind please call our Helpline: 01604 719193.